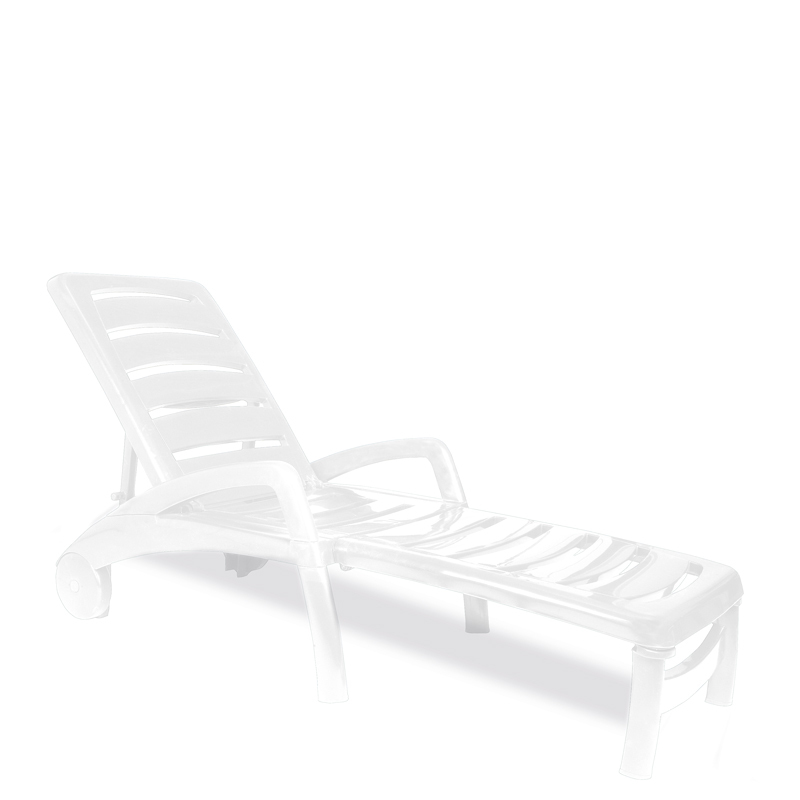 Folding sunlounger with arms, wheels and extra UV protection. Injected polypropylene. Can be folded in 5 positions.